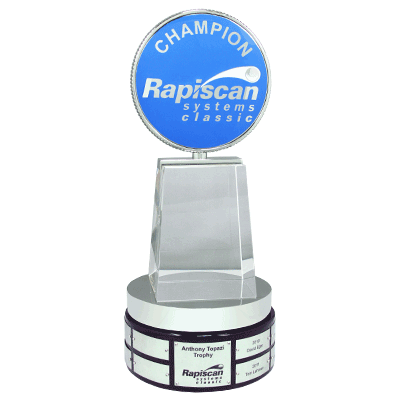 Since 1993, Rapiscan has been a proud and trusted partner of government agencies and private security operations around the world, built around simple principles. 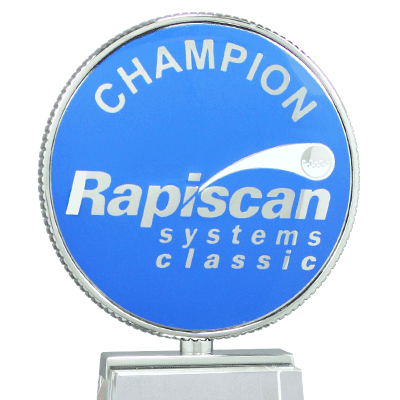 In 2018 Malcolm DeMille was commissioned to create a cutting-edge award for the “Rapiscan Systems Classic” PGA Tour event. 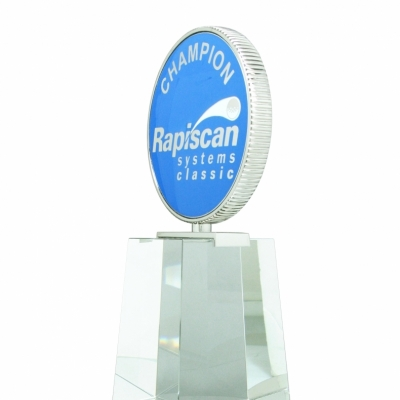 The Perpetual and Champions trophies are cast in bronze, high polished with a rhodium plate finish. 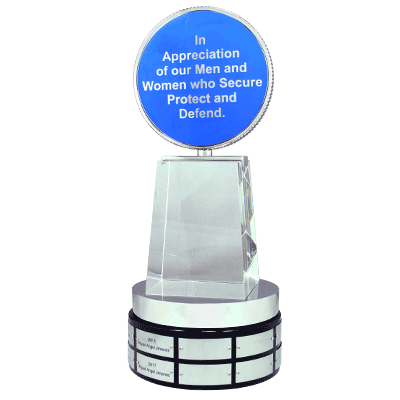 The Coin portion is 7” diameter x 7/8” thick cast bronze with blue epoxy background with clear high polished epoxy over the blue. 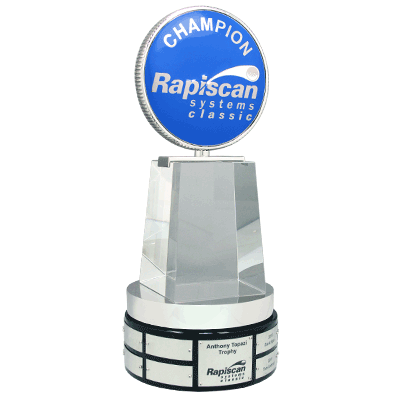 The coin is mounted on a Crystal pyramid block and a polished metal rhodium plate base which is all attached to a black acrylic base. Title plate and all nameplates are bright nickel plate attached with two mounting screws with deep mill engraving.